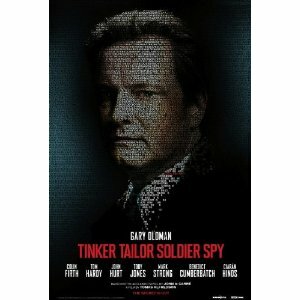 WorldMovieStore - Tinker, Tailor, Soldier, Spy Sinopsis. Tinker, Tailor, Soldier, Spy is all sleek, stealthy elegance. High-ranking intelligence officer George Smiley (Gary Oldman) was forced out of service when a mission in Hungary went very wrong, but rumors of a Soviet mole hidden within the agency bring him back into play. Oldman plays Smiley as uncannily opaque and, on the surface, harmless--but his eyes hold a deep bitterness that can turn sorrowful or cruel. --Bret Fetzer. Read More Sinopsis. 0 Response to "Blu-ray Release Tinker, Tailor, Soldier, Spy"